The Samsung SCX-3200 is a reliable printer, scanner and copier producing impressive 1200x1200 print and copy resolutions and precise scanned images. The unit even offers a quick print screen feature that can be activated through the one touch button in the control panel. The Samsung SCX-3200 mono laser multifunction printer even offers eco-friendly features, which allows cost-effective paper and toner saving. However, the SCX3200 still lacks colour printing capabilities, and its print speeds are not as impressive as other multifunction units in the same range. The Samsung SCX-3200 laser printer is compact, even smaller than some single-function lasers. It has a flat bed scanner and copier and a control panel with a quick print screen button. 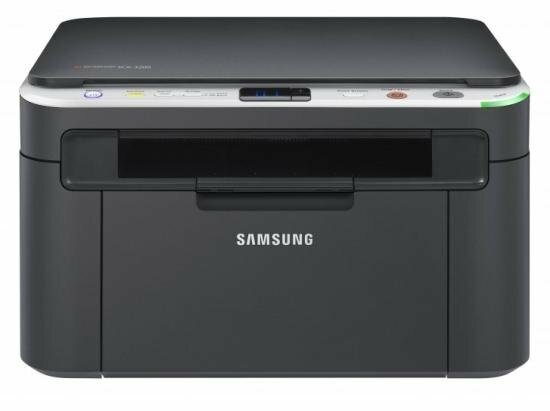 The Samsung SCX 3200 black and white printer allows duplex printing and it features a low-capacity input tray. It has paper and toner saving modes, which help keep costs down, and the Samsung SCX-3200 also offers energy saving modes for environmentally conscious users. The Samsung SCX-3200 mono printer boasts high-quality printing, producing resolutions up to 1200x1200 dpi. It prints and copies in black and white and scans in colour, with optical resolutions that reach up to 1200x1200 dpi as well. The Samsung SCX-3200 multifunction printer also offers scan to PC function and multiple copying up to 99 pages. Precise output of text and greyscale graphics is guaranteed with the high quality Samsung SCX-3200 genuine toner cartridge. However, the Samsung SCX3200 MFP does not fare well when it comes to speeds as it only produces 17 copies per minute and up to 16 printed pages per minute. This unit does not support fax sending, unlike competing units.